Every 25th of April, Australians and New Zealanders around the world savour the chance to reflect and remember those brave souls that went before us. From the moving dawn service celebrated at monuments around the country to the solitary and sorrowful sounds of the trumpet’s “Last Post”, no other day sums up the spirit of our two great lands than Anzac Day! Here are 10 amazing facts that you perhaps didn’t know about this special day. Most people are aware that the ANZAC acronym stands for Australian and New Zealand Army Corps. 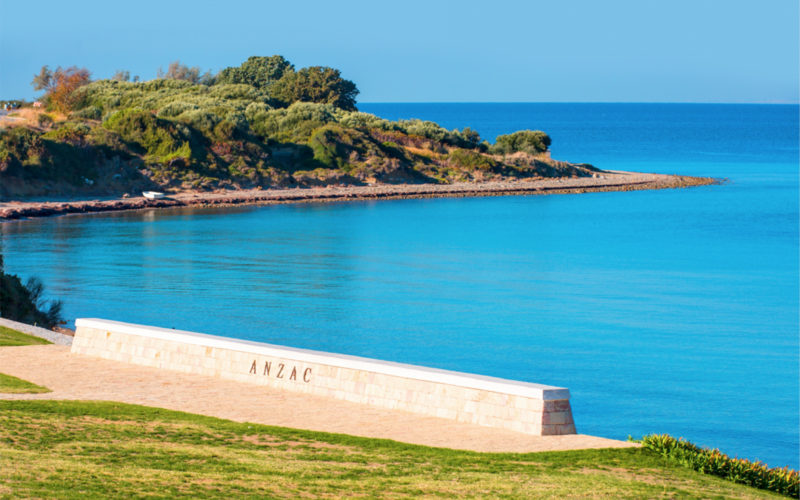 A term given to our brave soldiers who landed on the Gallipoli Peninsula on April 25th, 1915, known today as Anzac Cove. But did you know other countries including the Cook Islands, Tonga and Samoa, as well as small villages in France and England also celebrate the day because of their own involvements in the Gallipoli campaign? The concept behind a “spirit” of the Anzac legend lends itself to the idea that Australians and their Trans-Tasman cousins shared similar characteristics at the time they were soldiers together. Courage, good humour, endurance, mateship and appreciation of one’s inner larrikin where all considered qualities typical of the Anzac spirit. The term ‘digger’ was a slang term coined to describe miners and gum-diggers in both Australia and New Zealand prior to the First World War. By 1917 the name Digger was used to describe the cultural stereotype of the Aussie and Kiwi soldier in the First World War. Over 11,000 Anzac’s lost their lives during the battles at Gallipoli over the 8 months the campaign lasted and a further 23,500 were seriously injured and maimed, but did you know just about every Anzac soldier was a volunteer? Unlike later wars, conscription did not exist. Boys and men from all over the country travelled far and wide to sign up believing it gallant, heroic and one’s duty to enlist. While the battle itself was a crushing blow, the Australian and New Zealand soldiers displayed relentless courage and spirit, even despite the most horrible of circumstances. This is how the Anzac legend was born. The distinctive Australian slouch hat, often referred to as an Australian “bush hat” or by others as a “digger hat” was designed with one side pinned with a Rising Sun Badge in order to allow a rifle to be slung over the shoulder. Wives, mothers and sisters of Anzac soldiers made Anzac biscuits for their loved ones to take with them because they were considered ‘healthy’ options for transit. And as they didn’t include ingredients such as milk and egg, they didn’t spoil and held a rather long shelf life. In Australia and New Zealand the anniversary was marked in 1921 with a public holiday, however not every state in Australia observed the date until 1927. By the mid 1930’s the dawn service, Anzac marches and two-up had become firm fixtures of the day. Two-up is ordinarily an illegal coin game on 364 days of the year (illegal because it is deemed unregulated gambling), however the one day of the year it is completely legal to play is 25th April to mark a shared experience with the Diggers through the ages. Two coins (traditionally pennies) are thrown into the air and players bet on whether the coins will fall with both heads up (obverse), both tails up (reverse), or with one coin a head and one a tail (known as “Ewan”). Rosemary has long played a part in Anzac Day ceremonies, pinned to the lapels and collars of servicemen, civilians and school children alike, this warming and aromatic herb is believed to improve memory and early Greek scholars are thought to have worn these in their hair. It is significant to Anzac Day as it can be found growing wild all over the Gallipoli peninsula where our troops fought.